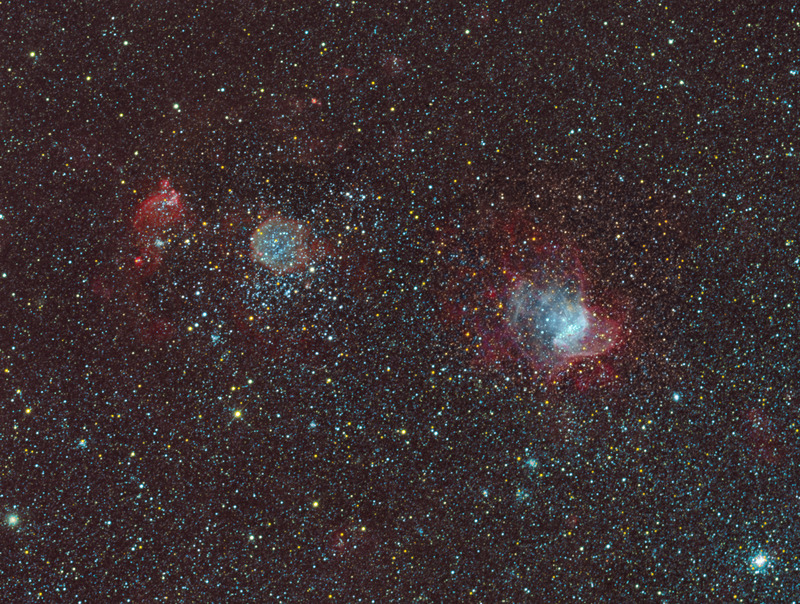 This is one rarely imaged area in the Small Magellanic Cloud in the constellation Tucana. . On this image can be found two open star clusters, situated in emission nebulae: NGC 346 and NGC 371. Both of them were discovered on 1 August 1826 by the Scottish astronomer James Dunlop. 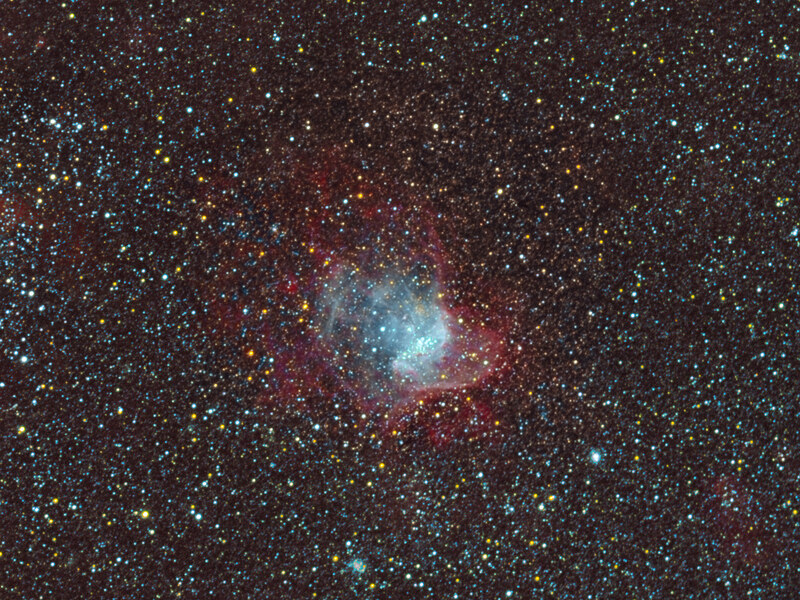 NGC 346 has a diameter of 5.2 arcmin and its apparent magnitude is 10.3 mag. On recent images from the Hubble telescope in this cluster can be seen about 70,000 stars, of which the oldest are 4.5 billion years and the youngest only about 5 million years old. 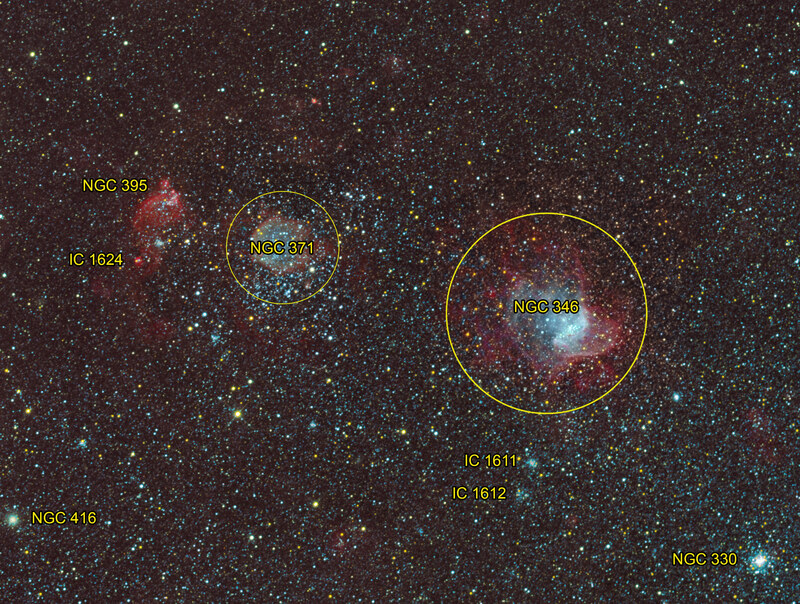 The other cluster, NGC 371 has an unusual number of variable stars, among theese there are many slowly pulsating B stars.